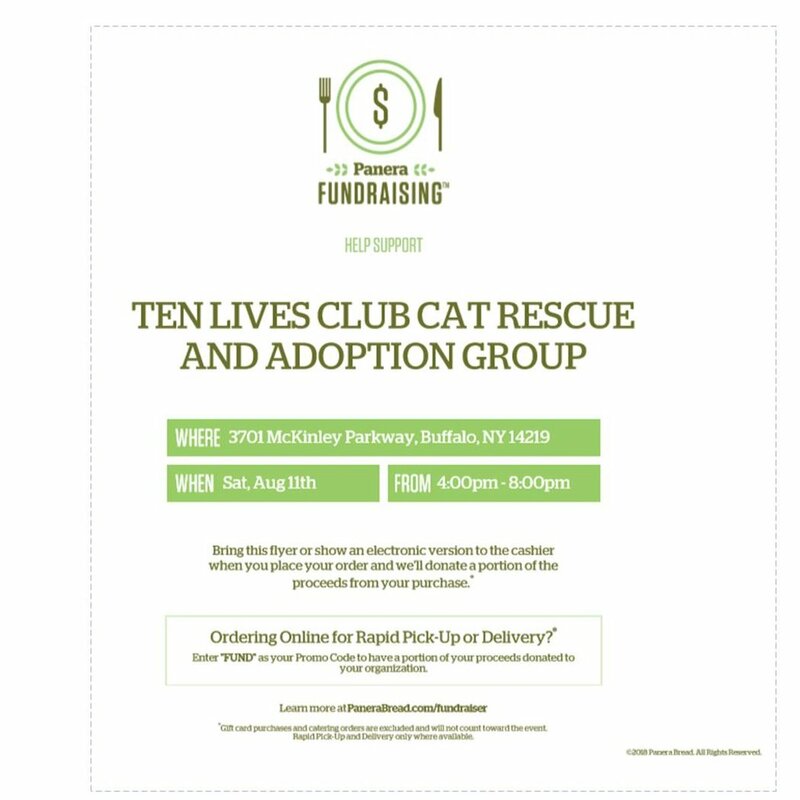 Ten Lives Club invites you to eat at Panera Bread on Saturday, August 11th between 4 p - 8 p at the location located at 3701 McKinley Parkway to help our group raise funds for the cats and kittens in our program! In order for TLC to get credit for your purchase, please present the flyer (Below) to the cashier at time of check out. Don't want to eat in store? You can also order online for Rapid Pick-Up or Delivery enter "Fund" as your promo code and TLC will receive proceeds from your order that way as well!